Muscle Force Extreme - Should you sign up for the trial offer? 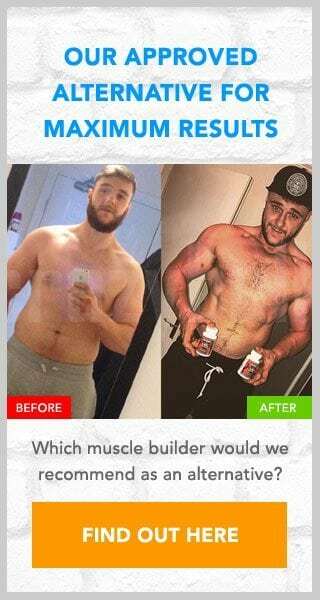 Muscle Force Extreme – Should you sign up for the trial offer? Muscle Force Extreme claims to help “maximise your workout” and to give you “extreme muscle”. In the following review we will look not only at whether the claims are accurate or not, but also whether the ingredients are up to scratch and whether there are any of those hidden charges that trial offers like this are well-known for. Please read on to discover what we found out before you rush into signing up for the offer. 4 Would we recommend Muscle Force Extreme? To check how accurate these claims are we would need to look more closely at this supplement, in particular at what ingredients have been used to create it. The first thing I will say is that there is no label available onsite so no way of knowing what this supplement contains. What we do have is a tiny bit of information stating that it contains L-Citrulline, L-Taurine and N.O. Super Molecule (Nitric Oxide). While it has been shown that these ingredients could be of benefit, the truth is that without a label there is no way of knowing how much has been used, so no way of knowing if any benefits can be experienced. Also, without the label we do not know if any other ingredients are present. That could potentially lessen the effects or potentially cause any issues. When looking at supplement it is always worth looking for a label. Without one there is no way of knowing what it is you are taking. Muscle Force Extreme is available for a “risk-free trial” which some may take as a free trial, but this is not what it means. Having read the terms and conditions I can reveal that after the 14 day has concluded you will then be charged $89.95. These T&Cs also reveal that should you fail to cancel the trial you will then be automatically placed onto an auto-ship program that will then send you further monthly packages at cost to you. As with most auto-ship program these shipments will continue until the subscription has been cancelled. Would we recommend Muscle Force Extreme? With claims that cannot be proven, dubious ingredients and a high cost there is very little to recommend about this offer. If I were you I would avoid trial offers as they are rarely the good deal that they first appear to be. With numerous alternatives available (such as the one recommended below) we cannot recommend this offer. If you want to gain muscle and strength and don't want to waste time with trial offers then I would suggest you pay a visit to the Crazy Bulk website. There is one particular supplement available there that I would highly recommend. Its name is D-Bal and it has been created as a safe and legal alternative to the banned steroid Dianabol. D-Bal is not available for trial, so definitely no hidden charges or any unwanted repeat orders.